Before coming to Bangkok, I was a country boy who didn’t have any skills. Forget about doing things for myself, I couldn’t even think for myself to begin with. Being the only son growing up, I was constantly spoiled. When issues arose, my cousins would always take care of them. Seems like an easy life, but in truth it was a dangerous way to live. 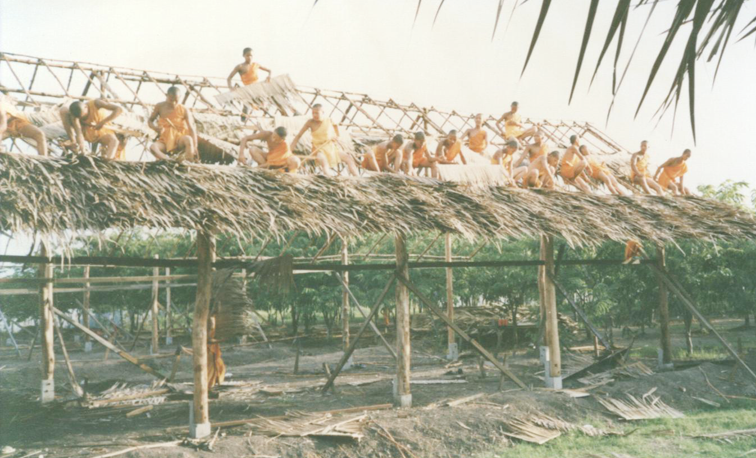 I remembered fondly when I think back about the first time I came to the ordination program (atWat Phra Dhammakaya, Pathum Thani) in the monsoon season. I had to build a shelter out of palm leaves before the rainy season began. 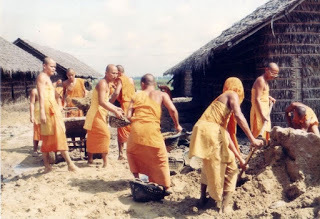 Two Dhammadayadas had to dig two holes in order to put in the foundation pillars, and that was the first time I had to use a hoe. I was gripping the hoe way too tightly, swung way too high, and after I landed the hoe on the dirt, of course my hands bled. My friend to whom I owe much gratitude to this day is named Kittisuk, rushed to take care of me and told me to take a seat. He then proceeded to dig the two holes all by himself, I am still captivated by that act of kindness to this very day. Since that day my life has been blessed by various teaching monks, whether older or younger, all have supported me. 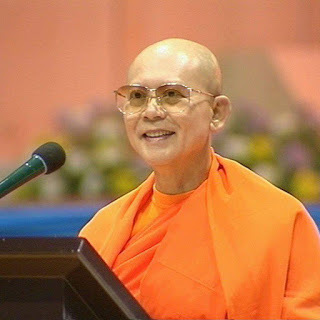 The person who changed my view of Buddhism, from no faith to having faith, from not knowing how to do anything, to doing everything, was Luang Por Dhammajayo. When I had an opportunity to participate and meditate in the group with Luang Por Dhammajayo , in addition to giving us tips on meditation and teaching the Dhamma, he nurtured our well-being as well. He taught us to clean after ourselves, and organize everything. When looking from a distance, through each clear glass closet, we can see everything perfectly placed neatly in order. We then noticed that Luang Por stressed ‘Down’ clearer than other words. In addition, this was the second time he mentioned cleanliness. After the meditation session, everybody gathered to talk about what Luang Por meant. In order to be sure, everyone helped look around the place to see if everything was in order. We all looked and saw everything was clean. One monk looked under the floor of the building that was lifted about hip level and found there were cobwebs everywhere! Then we were sure that this was what he was talking about. We cleaned everything and everywhere. In the night session we were eager to hear what Luang Por would say. After he sat down in the middle of the room, he gazed at every monk and smiled. He smiled with compassion reflecting the feeling that he was proud that we understood what he meant. By saying very few words and those words were imprinted on our mind. 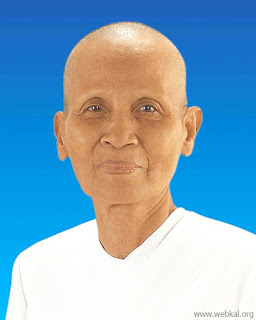 That was the lesson Luang Por taught me that I now teach and take care of the novices and staff until this very day. 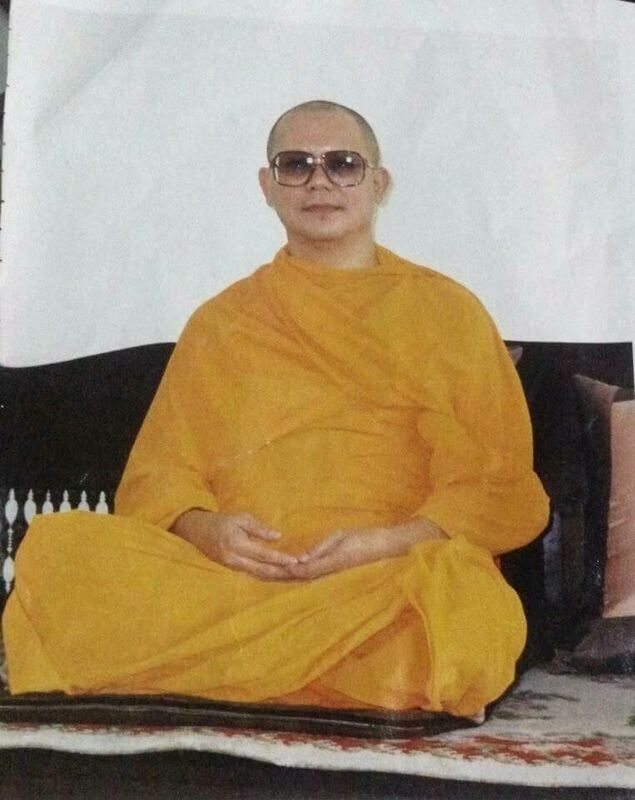 This entry was posted in Editor's Picks, News, What Luang Por Taught. Bookmark the permalink.